German car manufacturer BMW has provisionally agreed to sell its BMW Sauber Formula 1 team back to team founder Peter Sauber. The move comes after BMW cancelled plans to sell to Qadbak Investments. Sauber, who retained a 20% stake in the team when he sold it to BMW in 2005, will take complete control if they are allowed to race next season. 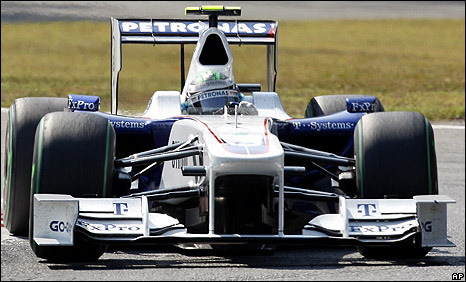 The team is not guaranteed a place on the 2010 grid because they failed to sign the Concorde Agreement in July. BMW Sauber lost their guaranteed place on the grid to Lotus, however, Toyota's decision to leave F1 earlier this month has opened up a space on the grid. The sport's governing body, the FIA, is yet to confirm the team as the 13th entry for next season - the official entry list will be published on Monday, 30 November - but it is likely that Sauber's entry will be accepted given its history and reputation in the sport. But 66-year-old Sauber, who entered F1 with his team in 1993, said: "I am convinced that the new team has a very good future in F1, whose current transformation with new framework conditions will benefit the private teams. "It also means we can keep the Hinwil location and the majority of workplaces." BMW board member Klaus Draeger said: "We are happy with this solution. 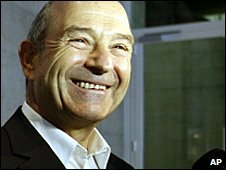 "Our relationship with Peter Sauber has always been excellent and marked by absolute respect." BMW announced in July that they were pulling out of F1 and agreed a deal to sell the team to Swiss-based Qadbak in September. Qadbak, through its Munto Finance Company, has also bought England's oldest professional football club Notts County.